When it comes to skin, I have special corner for hand creams, foot creams, lip scrubs, body polish etc. 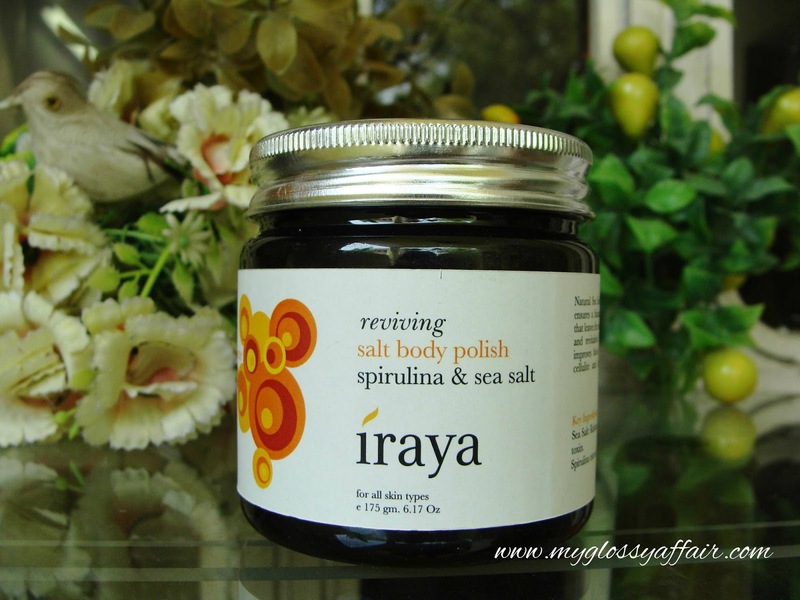 Today, I am reviewing Iraya Body Polish which is as good as it sounds. A Body Polish is not a massage but primarily a treatment for the skin. It is like a facial for the body. A body polish can be done with any number of materials — salt, sugar, coffee grounds, rice bran etc. – usually mixed with some kind of massage oil and aromatic like essential oils or some moisturizers. If the polish uses salt, it might be called a salt scrub, salt glow or sea salt scrub. After such a pleasurable exfoliation, a shower and an application of body lotion may follow. Natural Sea Salt blended with spirulina ensures a fantastic polishing experience that leaves the skin silky smooth, renewed and revitalised. This Body Polish also improves blood circulation; helps fight cellulite and improves skin’s texture. Spirulina is a natural algae (cyanobacteria) that are incredibly high in protein and nutrients. Spirulina is a “superfood” which possesses tremendous nutritional value. Being rich in vital nutrients, this plant offers high content of protein.The cells of our bodies desire an uninterrupted supply of critical minerals to maintain optimum cell function and to maintain a youthful and vibrant appearance. Spirulina is rich in all of these same critical minerals. It also treats flabby skin by eliminating the body’s metabolic waste products and strengthening the body as a whole. Gently massage onto moist skin using firm, circular movements till sugar has dissolved and oil has been absorbed into skin. For faster absorption and for sensitive skin, use a little water on the skin to dissolve the salt crystals. It comes in a transparent plastic tub with a silver metal lid that screws tights and hence prevent any leakage or accidental spilling. Since the contents of these salt body polishes need to be mixed up before scooping out for use, tub type packaging becomes necessary else I prefer tubes which are more travel friendly and hygienic. Sea Salt (Sodium Chloride), Vegetable Glycerine, Spirulina (Spirulina Platensis), Sea Kelp (Fucus Vesiculosus), Fragrance. I like the feel and the name – Body Polish. It somewhat feels luxurious to me. 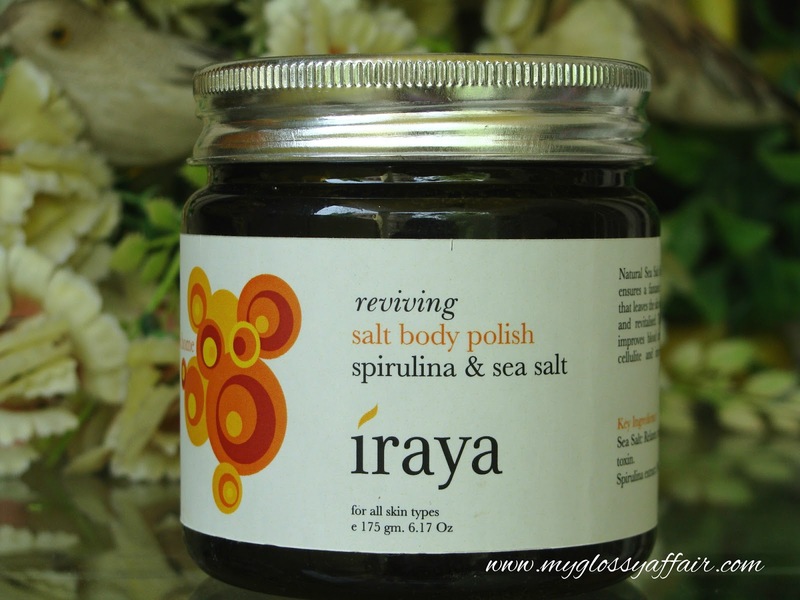 This Iraya body polish comes in a plastic jar and is blackish green in colour. The fragrance is quite strong and almost feels like a man’s cologne. I like it. Not overpowering and pleasant one. The salts and oils are separated and need to be mixed before scooping out the product. I always use a spatula like the one comes with bleach to mix and take out the body polish from the jar. That helps in mixing well and keeps the contents in jar hygienic and free from finger touching all the time. The best way to use – take it to shower with you. Enjoy the self spa and then shower 🙂. I have used it almost 4-5 times over a period of 2 weeks and I am happy with the results. The salts and the oils make the skin silky smooth and exfoliate well. Spirulina, the natural algae, works on cells and helps eliminate metabolic wastes from body. These are not direct benefits that we can see in single or 4 uses but are long time benefits. You can get all the Iraya products online here: jabong.com , amazon.in and iraya.in. – Contains the goodness of Spirulina, a natural algae. 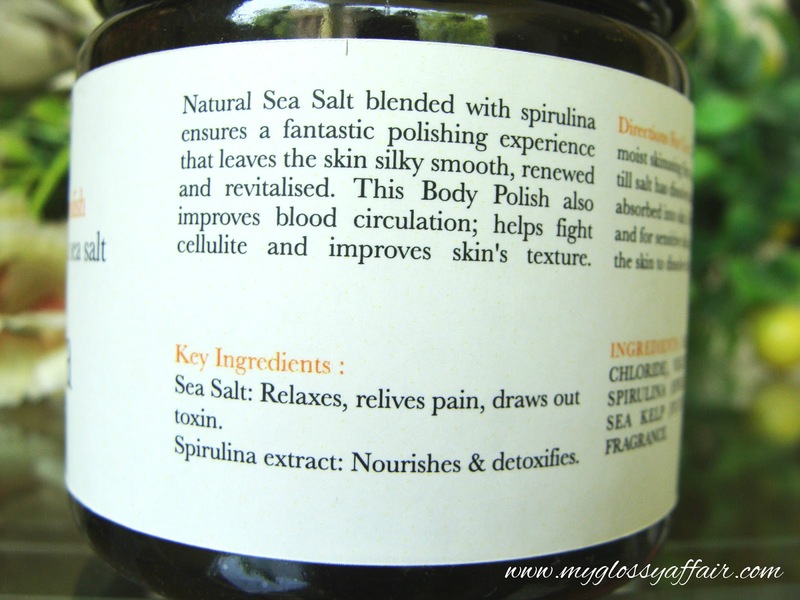 – Contains sea salt granules for mild but effective exfoliation. 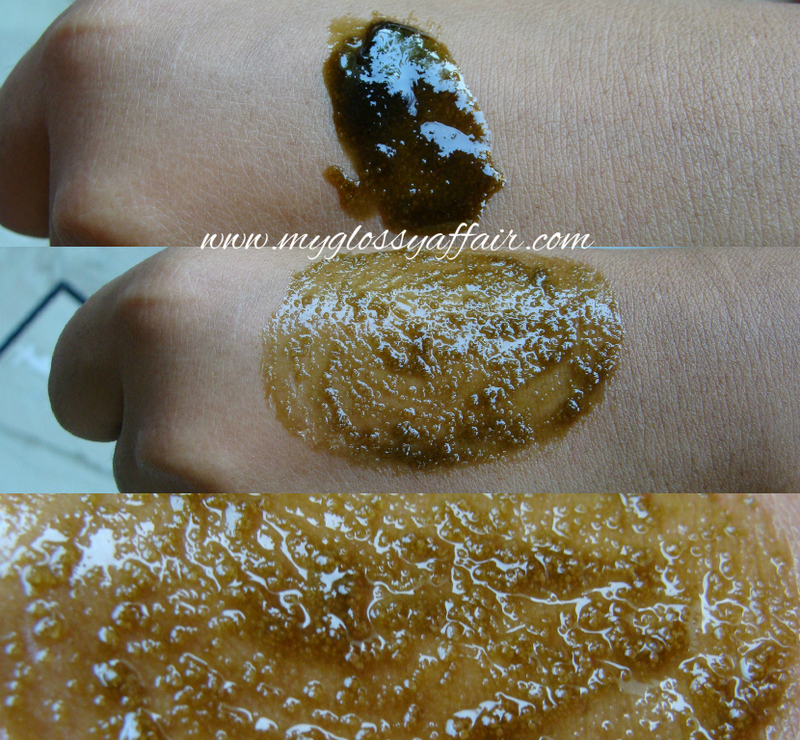 – In-spite of having oils, doesn’t leave oily residue on skin. – Helps eliminate metabolic waste from body. – Leaves skin soft, smooth and well exfoliated. 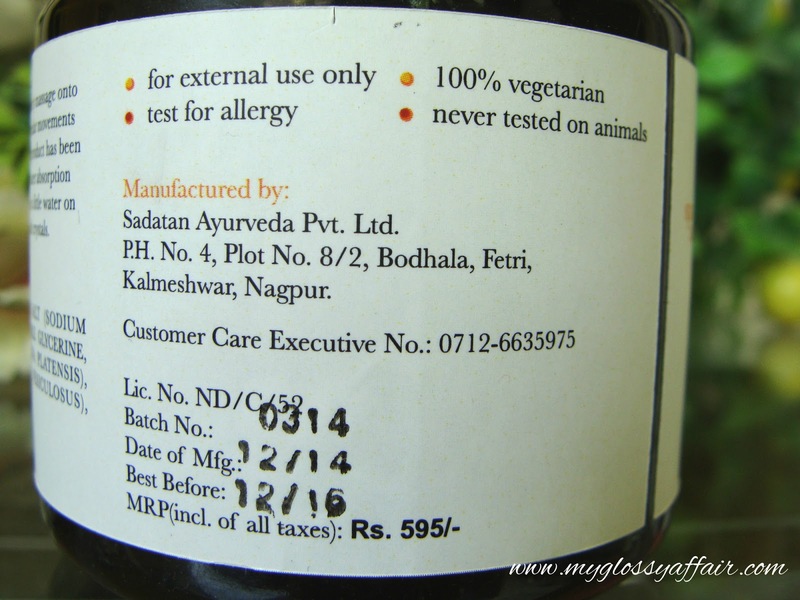 – All natural and not tested on animals. – Bit pricey for the quantity given. You can see the contents in jar above. Its a freshly opened jar. But small amount of product is required for body, so definitely a good investment. nice review ths for share! Great product with spirulina and algae. I don't mind paying for it's certainly worth polishing the body with. Thanks for the detailed review, it seems like a great product! It sounds like a great product to try at home spa day and the best thing it works. Great Review ! I'd surely try this bath salt in a minute after reading your review. Will check out Iraya products soon. New Post – Style..A Pastiche! Nice post as always! Kisses! Lovely review and i have heard of this product a great one. I'm definitely going to have to try this! It looks like a great product. Sound good ,the Incis are great!